Smartstart Franchisee busy with children. Why focus on Early Child Development as strategy to change the future of South Africa? 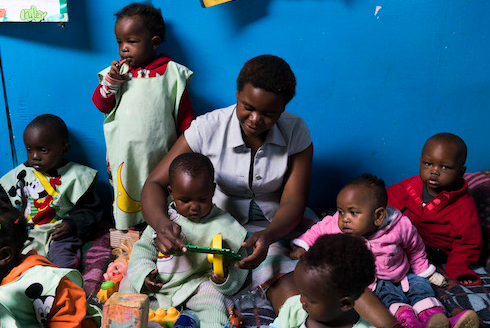 Economists agree that investment in ECD delivers by far the best longterm-return on money invested ECD is the most powerful tool to address the unsustainable inequality and systemic poverty anywhere in the world. ECD is our best chance to ensure a future where every person has an equal chance and opportunity to participate in the economy. ECD offers exciting opportunities develop and employ women to start their own micro education business. Early child development is crucial for the brain development of children and offer the best change to succeed at school and in their adult economic life. ECD is one of the goals of the 2030 National Development Plan. ECD is one of the United Nations’ Sustainable Development Goals. A child’s brain is 90% developed by the time he or she reaches 5 years of age. It is a researched fact that their educational development before 5 is a key factor for their success as an adult. Research clearly shows that children who receive proper ECD achieve greater success at school, and subsequently have higher earning capacities as adults. Women have been identified worldwide as agents of transformation in their communities. 1. What will enable true change in our country? Build strong partnerships, foster brilliant execution and implementation of visionary plans and work together to change the future of South Africa by investing in women and children. Develop a sustainable fund with partners and invest with top fund managers. Support the enterprising women who start micro SmartStart ECD businesses with seed money, infrastructure needs, food for the children, educational products, ongoing support, training and mentoring. Support and strengthen local Smartstart partnerships and initiatives. Foster collaboration between all role-players to make ECD a priority in communities across South Africa. “Whenever I meet new learners on the first day of their Start-Up training, I see HOPE. It reminds me of my first day at SmartStart. I know that if I made it to where I am today, these learners can also make it. SmartStart has empowered me and now I empower others. These are the words of Zanele Ngwenya. She started her journey as an Associate SmartStart trainer in July 2015. In January 2016, she decided to take up a full-time position as a SmartStart Lead Trainer. Over the last 18 months, Zanele has learned to put herself into other people’s shoes. She has developed a new level of selflessness and often finds herself thinking about the future of her learners as well as the future of the children who come through the SmartStart programme. Zanele observes how the SmartStart training develops happy, responsible and confident learners. The materials and activities are structured in a way that can accommodate people of varying levels of literacy. The modules link well, and they are an excellent build up. 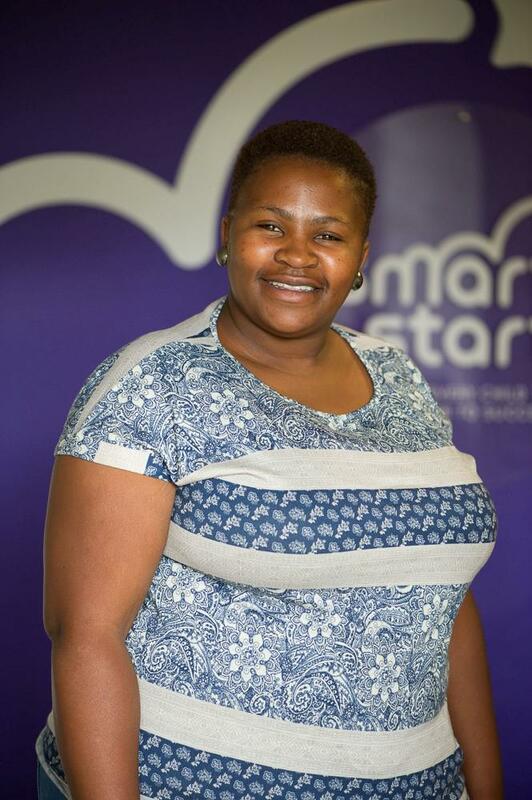 Zanele is a valuable and inspiring member of the SmartStart team!